Earlier this week we have reported you that R-SIM folks announced to be releasing their new fourth-generation SIM interposer soon in couple of weeks to unlock 4.11.08 iPhone 4 baseband on iOS 5. 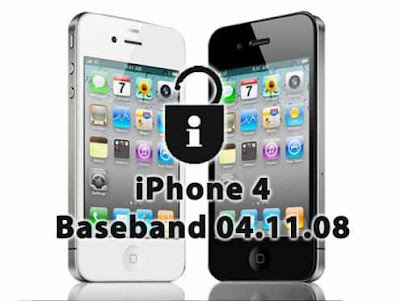 We have just got in contact with those guys once again, and come to know that they are going to release iPhone 4 “4.11.08” baseband unlock R-SIM IV in this week. The new R-SIM is coming in the market, after a very hectic competition with other SIM interposer rivals in the market. As Apple released the new “04.11.08” iPhone 4 baseband with the first public launch of iOS 5, and until now, after many months we are now finally seeing a hope to unlock our locked iPhone 4 devices on iOS 5. Apple has already seeded another iOS 5.1 with a brand-new iPhone 4 baseband update, but we have suggested users to keep away from the baseband updates if you are using locked iPhone, because the new baseband update comes with new hurdles and challenges for the baseband hackers. The new iOS 5.1 is no doubt comes up with new security over baseband chip, and as well as the hackers got hands-on iOS 5.0.1 baseband unlock, so it is useful to stay on iOS 5.0.1 and unlock your iPhone “04.11.08” baseband. The folks over EachSupplier, the official supplier of R-SIM has just updated us over email conversation that their engineer at R-SIM lab is testing the final build of fourth-gen R-SIM with locked iPhone 4 devices, and the new SIM will shortly arrive in the market after testing it, scheduled to come in this week.